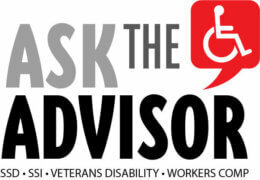 You are here: Home » Social Security Disability » Facts » I am a disabled widow. I have not worked outside my home in many years. Can I get Social Security for disability? Learn how widows, widowers, and divorced surviving spouses age fifty or older may get Social Security for disability from their spouse’s work record. Social Security survivor benefits include benefits for widows and widowers who are age sixty and over, whether or not they are disabled. Additionally, Social Security benefits for disability are available to qualifying disabled widows and widowers as early as age fifty. The older you are when you become disabled, the higher your benefit will be. For information about Social Security’s definition of disability, please see our article What Is Disability According to Social Security Disability Law? To be eligible for widows or widowers benefits, your deceased spouse must have worked enough in Social Security-taxed jobs to insure his or her family for survivor benefits. The Social Security Administration can tell you whether he or she had enough work credits. Another non-disability requirement is that, usually you are not eligible for disabled widow or widower’s benefits if you remarried before age fifty and are still married when you become disabled. Typically, you must also become disabled within seven years of the death of your spouse or within seven years of the end of your prior entitlement, if any, on your spouse’s earnings record. Medicare health insurance begins after you have received twenty-four months of disabled widow’s or widower’s benefits. If you are age sixty or older and you became disabled before age sixty, you can apply for disabled widow’s or widower’s benefits just for the purpose of obtaining Medicare coverage earlier than age sixty-five. Being found disabled for Medicare purposes will not increase your widow’s benefit based on age, but it will provide medical insurance coverage. For more information about Medicare, see our article If I Am Approved for Social Security Disability, Will I Get Medicare and Medicaid Health Insurance? Disabled surviving divorced spouses who were married to a deceased insured worker for more than ten years are eligible under the same rules as widows and widowers. Social Security for disability can be paid to a disabled widow or widower and to a disabled surviving divorced spouse simultaneously without reducing the amount of each other’s benefits. Can I get Workers’ Compensation and also get Social Security Disability?